No home embellishment is more beautiful and charming than inspiring artful displays. Whether you’re an occasional admirer, a true connoisseur or an artist, you can always find a painting, photograph or a simple motif that can evoke certain emotions in you. Implementing art into your home will not only elevate its décor, but it will also give your space an authentic character and let you express yourself through the artwork you’ve welcomed into your sanctuary. 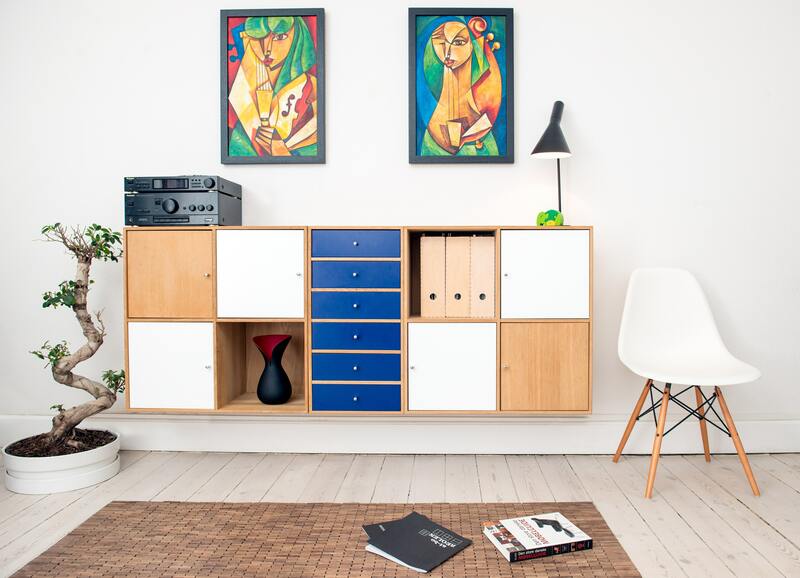 What’s more, there’s even a sense of art in the way you use artwork in your home. A gallery wall has become one of the most popular ways of arranging artwork in a space. This is a stunning option that will help you accentuate your collection and let it dominate your entire room. It can turn your bare wall into a stunning artsy statement, allowing you to show off your favourite pieces. 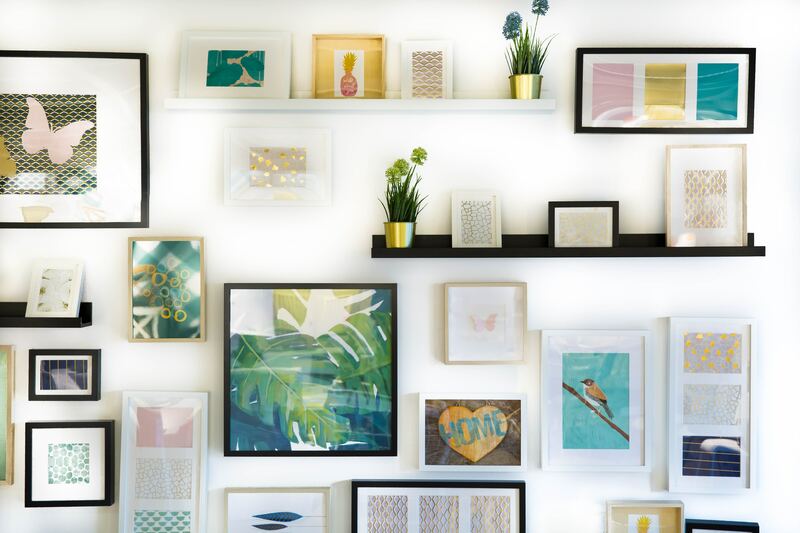 Creating a gallery wall can be quite simple – you just start by hanging your favourite paintings or photographs, and then continue adding to that collection. 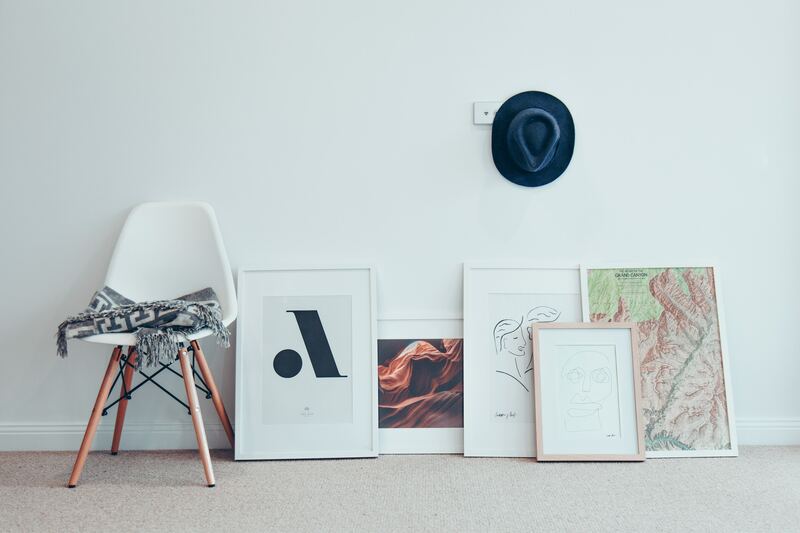 A gallery wall gives you freedom to include other items, too, such as your favourite postcards, drawings, sketches, installations and even vintage dishes. However, for a cohesive look, it’s important that you use pieces that have at least one feature in common. Whether it’s a colour, motif, theme or the style of frames, that shared feature will bring a sense of balance and harmony to the entire room. When you think of using paintings and photographs in your home, hanging them on the walls is the first thing that comes to mind. However, you have so many other possibilities that will help you create an authentic atmosphere in your home. For example, you can use a single oversized painting and simply lean it against a wall, placing it on the floor or a side table. You can even arrange several pieces on the floor or hang them at a lower level. Using art pieces in unexpected places is another unique way to bring a sense of playfulness into your home. From creating a bathroom exhibit to decorating your outdoor walls, don’t be afraid to experiment with your artwork placement and arrangement. Giving your kitchen artsy appeal will make it seem more welcoming and playful. Aside from placing some lovely paintings or photographs, you can also exhibit a charming decorative arrangement on a floating shelf. If you have an enticing Wedgwood kitchenware collection that features all those mesmerising patterns and designs, this can be the perfect choice for your art-inspired space. 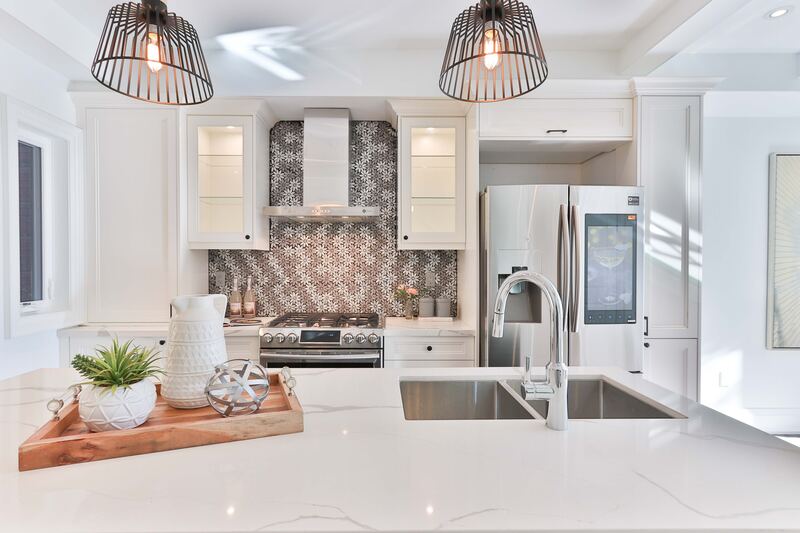 Not only will it elevate your home décor, but it will also fit perfectly into the kitchen setting. You can also display such a beautiful collection in a vintage cupboard with glass doors. This will create an artsy ambience in the heart of your home. Bringing decoration and art together offers you a world of creative ideas that you can try out. 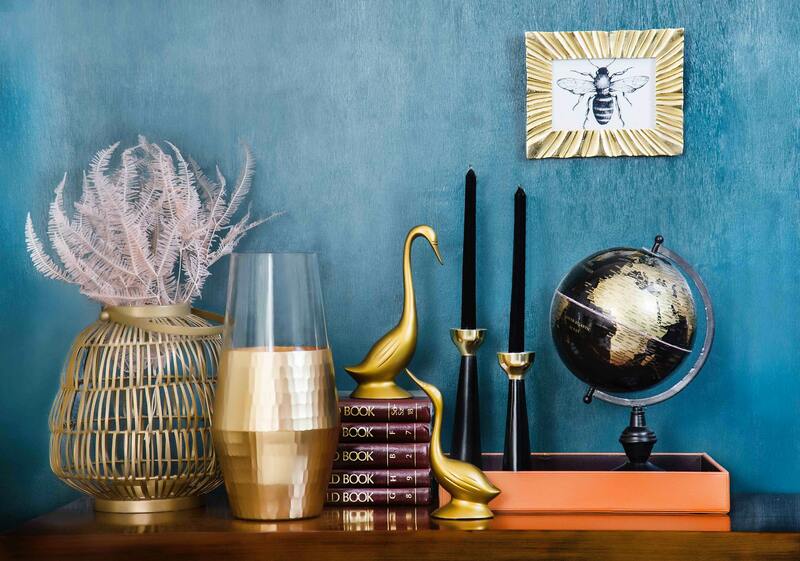 If you want to decorate your nightstands, a coffee table or a console table, you can create a playful, artsy display that will dominate your room as a mesmerising focal point. You can use a lovely vase, couple of books, beautiful tiny sculptures and a small painting to style any surface in your home. This is also a beautiful idea for decorating your bookcases or shelves. However, you should consider creating arrangements that contain an odd number of elements. This is known as the “Rule of Three” that can help you create more memorable and authentic displays. Of course, you can include more than three items, but make sure to go with an odd number. In addition, you should ensure that your artsy items have at least one feature in common. Another great way to bring a dash of art into your home is to actually use your artwork as design inspiration for your space. You can decorate a room based on a painting you want to use as the focal point. For example, you can use colours from an art piece throughout your space, creating a colour scheme based on these hues. The same goes for a motif or a theme – you can decorate your entire room to reflect a painting. This will help you create a cohesive, harmonious look that will certainly give your home authentic appeal. Why not let your floors take centre stage? This will be an undoubtedly unique way to elevate your home décor. You can introduce an area rug with an artsy design and use it as a beautiful focal point in a room. 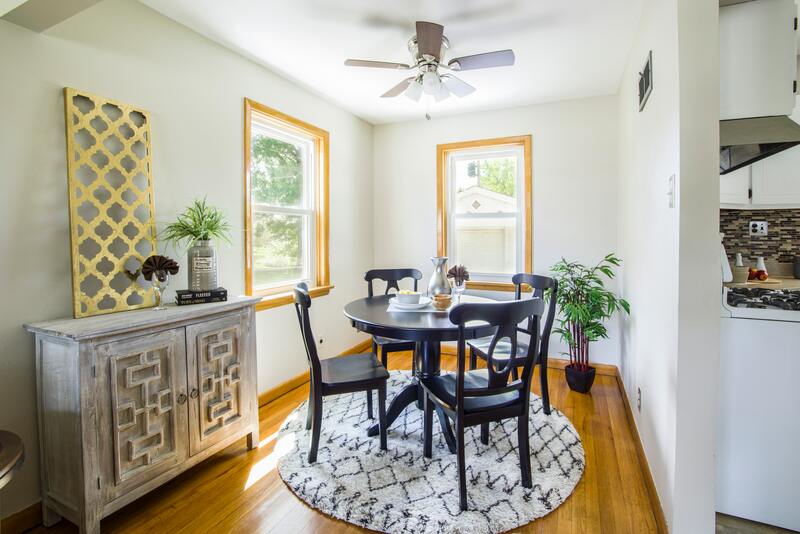 Stencilled and painted floors and tile designs are another creative way to accentuate this typically neglected element. If you decide to go with this idea, make sure to pick a design that will fit into the general style of your home. There are so many creative ways to give your home an artsy vibe – you just need to follow your own creativity. How do you easily add a dash or art and style to your home decor? Let me know in the comments, I love hearing from you! Be sure to Follow MyStyleSpot on Twitter and Like on Facebook to stay up to date on all things Home! Very nice and absolutely beautiful! Wish I was this talented. I love gallery walls! I recently started one with pictures of places I’ve visited in the last few years. Very nice need some art on my walls in my bedroom also.